Partnering with Chas Roberts for your commercial air conditioning and heating services means feeling comfortable all year long—not just while you’re at home. 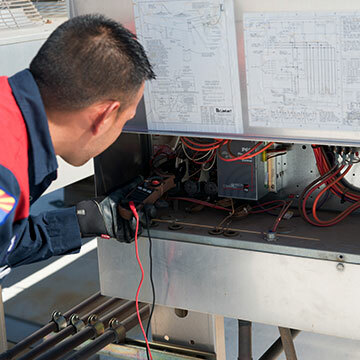 You can rely on our certified technicians to address any issues with your commercial systems. It doesn’t matter how big or how small. It takes a company like Chas Roberts with years of experience to address complex heating and cooling systems for larger commercial buildings.